Facebook’s Algorithm Changes and what they mean for your business! Facebook has recently changed their Alogorithms AGAIN! to keep everyone on their toes! In this post we are outlining what this means for you if you use Facebook to market your business. IF you are posting using Facebook’s best practices, only 12.6 % of your Facebook fans will see each post! We have to admit we were shocked to hear this! Facebook is trying to encourage businesses to start using Facebook Ads and paid-for content, so it is supressing organic content. However, this doesn’t mean that organic content is dead! There are still lots of things you can do to get great engagement on your page and here are some tips for you to do just that! The viewers interest in YOU – how many times they have interacted and engaged with you in the past. How well your post performs against other users – so the more that people engage, like and share your post, the more Facebook promotes and shows your post to other followers. If your type of post is the type of post that the user engages in more (status/photo/link etc) then Facebook is more likley to show it to them. It is well known that users are more likely to engage with videos and images then just plain links. The newer or fresher your post is, the more likley it is to be shown. You will typically find that more people engage or see your post around the time that you put it out, so ensure that you are publishing fresh content regularly. Facebook no longer prioritises Images with a link so these are less likely to be shown. Posts from your mobile get more reach than a tablet, laptop or desktop. Now that Instagram is owned by Facebook, posts from Instagram are 23% more likely to get seen so ensure that you are also embracing Instagram alongside Facebook. Responding to and liking comments from the last 90 days on your page can help to increase your reach. Youtube are the compeition and so links to Youtube videos are getting less views on Facebook. Facebook wants you to use their Facebook Live video instead. Minimum of 15 minutes on Facebook live!!! Facebook loves live streamers!! 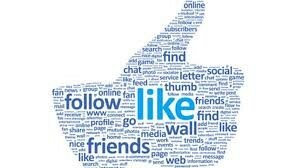 These tips can help you to reach more of the people who like and follow your page and will hopefully also help to increase your engagement. It seems that Facebook Live is the way to go so it seems that the way to go is to get more video going on your Facebook Page!